This is Julia’s story. She saw it first hand. For twenty years, General Ulysses S. Grant had been at the pinnacle: victorious Union General, the Hero of Appomattox, two-term POTUS and world traveler, hosted by kings and queens, emperors and similar royalty. Until the last 18 months of his life, Grant was doing well. After a lukewarm and aborted attempt to reclaim the White House, he entered into a financial partnership on New York’s Wall Street. His partner, Ferdinand Ward, was the brains; the General was the well-known name and face. All went well for three years. 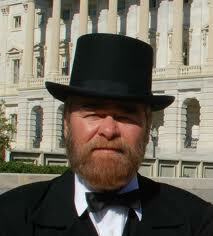 For the first time in his sixty years, Grant became a wealthy man. His grown children were investors. They became wealthy. Then, in spring 1884, the firm of Grant and Ward tanked suddenly. Ward had concocted a Ponzi-like scheme (borrow from Peter to pay Paul) and the bottom fell out of the tub. Ward fled with thousands of dollars borrowed by Grant, and the General was left holding the bottomless tub. He vowed to cover all the company’s debts, but he was broke, as was his family. Within weeks of that debacle, he was diagnosed with inoperable cancer of the throat. For two decades, Civil War veterans, North and South from privates to generals had been writing their recollections – to enormous success. The country couldn’t get enough of the war stories. Naturally Grant was approached by the major publishers, but he had always declined. He did not fancy himself much of a writer. The financial and medical problems were practically concurrent. Now, desperate for money, he reconsidered. Mark Twain, successful author and old friend, had a publishing company. He believed any war memorial by Grant would make a fortune. He offered him an unheard of advance and an equally unheard of royalty percentage. Grant was a quick learner, once he got started, and had been advised to include his thought-making processes and even personal anecdotes. As a pretty fair writer himself, Mark Twain was seriously impressed by Grant’s clarity and style. But it was a race with the clock. The cancer was aggressive. 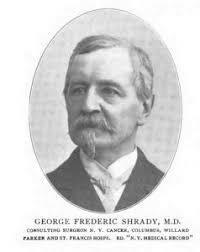 Dr. George F. Shrady, a wise physician. Several eminent doctors had been summoned; all concluded the diagnosis and prognosis. They were competent enough to recognize the problem, but treating it was a different matter. They were also Victorians. The thinking was to spare the patient/family from ominous news. They encouraged hope, prayer and faith in miracles. 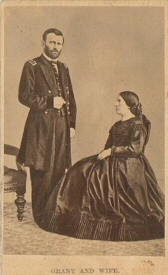 Julia Grant (1826-1902), the General’s wife of nearly forty years, took comfort in the daily visit from Rev. John Philip Newman, their Methodist minister. If it gave his beloved wife ease, Grant was amenable, but he himself had no illusions. He was completely focused on finishing the book, and refused all pain medication. No laudanum, no opiates. He wanted his mind clear. The only palliative care he accepted was having his throat “painted” with cocaine several times a day to numb the area. As expected, it became harder and harder for him to swallow. Soft foods, like eggs and custards were required. In time, only liquids could be tolerated, and those, only painfully. And, as further expected, he lost a great deal of weight and by summer, he took to wrapping himself in a blanket to disguise the great change in his appearance. 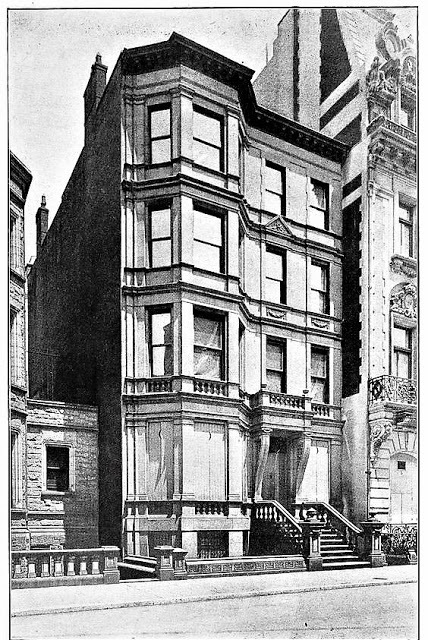 The Grant townhouse on E. 66th Street. By fall, General Grant had a great deal on his mind. He had a houseful of family and extended family who had moved into his townhouse at 3 East 66th Street. He had deeded the house to William H. Vanderbilt, his major creditor, but Vanderbilt insisted that Grant and his family remain there as long as he wanted. Two of his sons, their wives and children, having lost their own fortunes, moved in with their parents. They assisted with book – and with receiving the many visitors who showed up to pay respects. Grant saw few visitors personally. Finishing the book was crucial, and he had no time for anything else. He needed to provide for his beloved Julia. Then too, he cared deeply about his reputation and his character. He wanted all debts paid in full. Then there was the pain, which was increasing. Dr. George Shrady came three of four times daily to paint his throat which was swelling to a point of strangulation. If the General was not sleeping well, it was no surprise. At some point, Grant confided to Dr. Shrady that he couldn’t sleep. He was fitful and unrested, and he knew he needed the sleep. Dr. Shrady asked the General what time he usually went to bed, and offered to come back at that time. Perhaps he might be able to help. 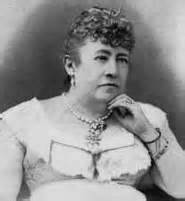 Julia Grant, a loving and intuitive wife. When the doctor arrived, the told the General to undress and get into bed. When Shrady entered the room, the door was left slightly ajar, and Julia Grant stayed outside. She could see in, but they could not see her. It is not uncommon for military men, especially with battlefield experiences, to fall asleep quickly – anywhere. Grant got into bed, propped up on a couple of pillows, lying on his back. Sure enough, he fell asleep quickly, but fitfully. He was tossing and turning. Dr. Shrady asked the General if that was the way he always slept. Advised that it was, the doctor exclaimed that he indeed could be helpful! Grant was sleeping in the wrong position! Julia’s manuscript was not discovered until 75 years after her death! Then he suggested that the General remember when he was a little boy, perhaps six, and his mother came to tuck him. He had Grant turn on his side, raise his knees, and put his arm under the pillow, and let his head rest on it. After a few soothing words from Shrady, Grant immediately fell into a comfortable sleep. 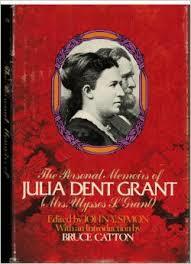 Julia Grant never forgot the wise counsel that allowed her husband restorative rest. It was one of the memories she included in the memories she penned herself some fifteen years later. This entry was posted in A POTUS-FLOTUS Blog, American Civil War, Ulysses S. Grant and tagged American history, Dr. George Shrady, Feather Schwartz Foster, Ferdinand Ward, First Ladies history, General Grant, General Grant's doctor, General Ulysses Grant, General Ulysses S. Grant, Grant & Ward, Grant business partner Ferdinand Ward, history, Julia Grant, Mark Twain, Presidential history, Presidential wives, the final illness of General Grant, Ulysses S. Grant, US history. Bookmark the permalink. Grant saw a lot in his lifetime. So sad that he so often put his trust in the wrong people! 😦 Great post, I really enjoyed it. 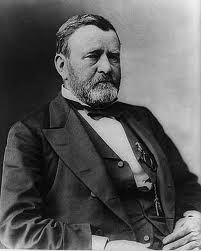 Have you read the Ron Chernow book on Grant? You might like it. I have a signed copy, but haven’t read it yet. Read the Ron White bio a couple of months ago. Good read! !